At four in the morning, hours before the sun would break over the horizon, 21 members of the FACES team gathered at the Portland International Airport, bags in tow, ready to head to the southern hemisphere for the 2012 Surgical Campaign to Peru. A week prior, all members of the team gathered for a packing party, during which they divided and packed medical supplies, medicines and necessities to bring with them on the trip. The airline journey went smoothly, with some members of the team flying to Lima through Atlanta and others through Houston. 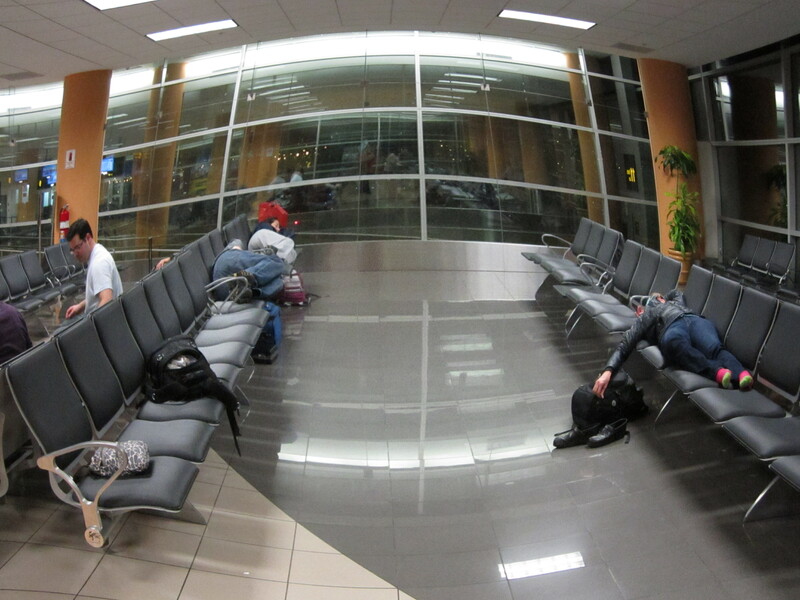 During a seven hour layover in the Lima airport, the team made themselves comfortable on benches to catch a few hours of sleep before the final leg of the journey: Lima to Chiclayo. FACES Foundation performs their surgical campaigns in Lambayeque, Peru, due the excellent infrastructure and connections they’ve set up over the past years. Lambayeque is a small town outside the major northern Peruvian city of Chiclayo. After almost 24 hours in transit, the team wiped the sleep out of their eyes, picked their bags up in Chiclayo and headed straight to Lambayeque by bus. Members of the Lambayeque Lions Club, a FACES partnering organization, welcomed the team at the airport and helped transport everyone to their place of lodging, Hosteria San Roque. Several hours of mid-day sleep powered the team up for their next mission: transport all the medical supplies to Belen Hospital, where they would be operating from. A fleet of three-wheeled moto taxis were stacked high with the medical bags and zipped over to the hospital. At Belen Hospital, the staff welcomed the FACES team and assisted with the unpacking and organizing process: each medicine, piece of equipment and surgical device needed to be put away correctly for a smooth start to surgeries the next morning. As often happens on FACES surgical trips, there are unexpected and unplanned for patients needing surgery who show up at the last minute. Several new patients were screened by surgeons Drs. Tom Albert, Jessyka Lighthall, Adam Terella and Dana Smith. To see photos from the journey to Peru, see our album on Facebook.